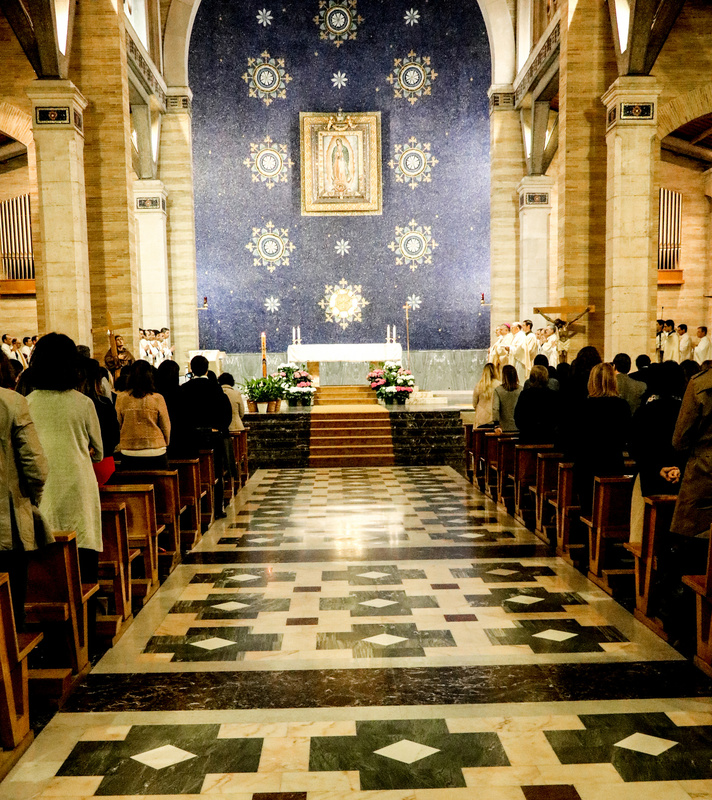 Every morning at the Regnum Christi General Assembly in Rome, we had the grace of beginning the day with Mass at the Basilica of Our Lady of Guadalupe, next door to the General Directorate of the Legionaries of Christ and Regnum Christi. On one of these mornings, while we prayed the Our Father in the Mass, I was reminded line by line of how very closely our Father was walking with us, and guiding us in His will. What follows is my reflection on how Christ led us to live the prayer he taught us during this significant moment in the history of the Regnum Christi Movement, at the General Assembly. In many parts of the world, generations of children suffer the poverty of lacking a father who is present in their lives to raise them with love and faith. 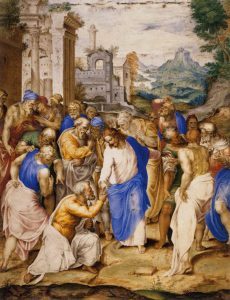 In Regnum Christi, we have the unignorable reality of our own ‘father wound.’ Were it not for the love of the Church, particularly in our Holy Father, and the care of our Father in Heaven, this Movement would not exist today. But Christ reminded us through his vicars, Benedict XVI and Francis, and through their delegates to us who accompany us in this renewal, that we are not orphans. We are children of the Father, who loves us, forgives us, heals us, provides for us, and guides us. He reminds us that our home is not here, it is Heaven with him. Pope Francis spoke of the Church as a field hospital, and in this field hospital Regnum Christi has been welcomed, with our acute wounds, and led along a path of purification and healing, particularly by the actions of two popes, the visitation they enacted, the leadership of Cardinal Velasio dePaolis as the papal delegate, and Fr. Gianfranco Ghirlanda, SJ, who is accompanying us through to the end of the development of the Statutes of the Regnum Christi Federation . We are experiencing the unmerited paradox of the Cross. Mercy is transforming us in ways that would not have been possible without the wound we suffered, had we not had our own need for forgiveness. In these years of disillusionment, we have experienced the true fatherhood of the pope, and of our Father in Heaven. This experience lets us reach out to a broken world in need of mercy and help them to encounter the Fatherhood of God too; it impels us to encourage the wounded to open their hearts to Mercy himself, and to walk with them as they too are transformed by love. Having a father in Heaven also gives us the joy of being part of his family here on earth. 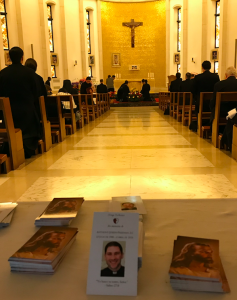 91 Regnum Christi members – priests, consecrated men & women, and lay members from 16 countries – came together and experienced the joy and resonance of being among friends you feel you know deeply, even though you have never met them before. 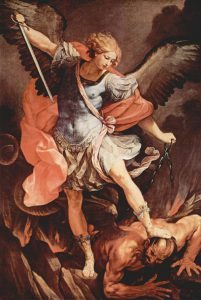 The work of the General Assembly was not to bury our eyes in statutes and structures but to lift them up and examine the juridical documents we were working on in the light of Heaven, so that what we would do would articulate how Regnum Christi is called to glorify God’s name through our lives and work. The statutes give us a way for the Federation to belong to the Church concretely, but they are meant to support and not limit the work of God in the Movement as a whole, which is bigger than the Federation – in each person, in each branch, in the mission. The goal of the statutes is to protect the charism of Regnum Christi and to set it free so God can live and work in and through us. The statutes are not meant to glorify the law, or even to glorify the Movement as being ‘official’ or ‘legitimate,’ but to glorify God, so that within and with the Church we can announce that God’s name is Holy and that he calls all people to know, love and serve him here on earth, and be happy with him forever in Heaven. The law, and the statutes are not the end definition of the Movement, but the law is an educator, and so the statutes must fulfill their duty to protect and let flourish the reality of what God is doing in Regnum Christi. This is our motto, and a prayer from the depths of our hearts instead of a superficial rallying cry. Thy Kingdom Come in me, in us, in your Church, in the world. How? as it has always come- through Christ who loved us first, through his embrace, through the cross, through humility, repentance, forgiveness, and transformation. And, through the commission we received in our baptism to transform secular realities with the light of Christ living in us. The Gospels tell us that the apostles had differing visions of the Kingdom. In Regnum Christi, we have had differing visions of it too. Gently, firmly, Christ our King has been leading our hearts to understand what it means for him to reign in us and in society. It isn’t by a vanquishing of enemies with might and power, or by an all-successful strategic plan executed with excellence. His Kingdom comes when we give him all that we are- our love, strengths and abilities – our utmost for his highest – but also our weaknesses, fears and faults, and trusting him to transform us and to transform our efforts, to complete the work that is his, not ours. It is Christ alone who makes his Kingdom come, because he loves us. He invites us to be with him as he makes his Kingdom come in the people we meet so that he may transform hearts, lives and society. What a gift! Our part is the same as Mary’s, to give our ‘fiat,’ to show up where he calls us to be, and to walk with him. The funeral mass for Br. Anthony Freeman, LC, was held during the General Assembly. We were there to pray for our brother, at a Mass concelebrated by over 100 priests and together with many other Legionary brothers. Among these young men, most had not experienced the loss of someone so close to them before. Speaking with them, you could see in their eyes how they sought to understand both God’s plan and the grief that they experienced. They know that the goal is heaven. They are experiencing the strength of the fraternal love that God gives us which is expressed in both in grief for those we lose, and in joy as we send our loved ones on with the hope of eternal life. These young men will become priests who accompany thousands in their joys and griefs, and by the grace of God, through the passing of Br. Anthony, they have gained wisdom for the road they will travel with many others in years to come. Ultimately, we are all walking each other home to Heaven, inviting others to join us on the road, and letting Christ transform us as we walk. Each one of us present at the funeral of Br. Anthony will one day take his place in our own farewell Mass. The assembly began each day with peace, with faith in God’s presence, and with the determination to follow Him. But often, it also began without clarity on where God would lead that day and without a firm sense of the outcome of the work in the hours ahead. We are so grateful for the work of the RC General Commission over these days- they had to discern and adapt our working plan constantly, in response to what the Holy Spirit brought out in dialogue. Day by day, hour by hour, God gave us the food we needed for each day, no more, no less, no provision for tomorrow’s plan, but enough to accompany him in the moment. He gave us what we needed to sustain us for each day, and each morning we were dependent on him again. He taught us through our need and our weakness how to trust and rely on his strength and providence. The body of Christ is made up of human beings, first led by St. Peter, who set the gold standard for us in his example of how to respond after we fall. During the Assembly, we recognized the reality that this time of renewal, which is a gift, came to be directly because of our need for purification. In affirming the strengths and gifts of God in Regnum Christi, we also identify and repent of our faults and sins- both those that have been systemic and those that are personal. The clarity of God’s call to repentance and reconciliation was palpable in Rome. His mercy was tangible, and he invited us to abandon our pride, our self-sufficiency, and our fears. The truth is that the identity of Regnum Christi is clearly marked by the Cross, and shaped by mercy. In my opinion, nothing has impacted us or formed us as strongly as the merciful love of God, and it is much deeper just than a situational experience that colors only the events of the past decade. It’s something that God has made permeate the charism he has given the Movement. Without God’s mercy, without the mission to share his mercy, Regnum Christi would not exist- at least not as it does now. Without mercy, we would not know ourselves, and we could not share what we had not received. 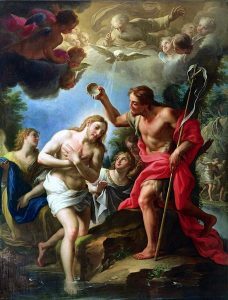 We resonate with the prodigal son, the Samaritan woman, St. Mary Magdalene, the Sons of Thunder, St. Peter, and so many who have walked the path of transformation before us. We are receivers of mercy and bearers of this mercy to others. As a movement, and as individuals in Regnum Christi, we follow in the footsteps of St. Paul, not only as the mighty apostle but as the repentant sinner Saul, spurred on in his mission by his own experience of mercy. With our acute phase of constitution and statutes renewal ending, the long-term transformation of the Movement in the image of Christ the King continues. We can’t lose sight of this, and like St. Paul, we must remember that we boast only of the mercy of God. His mercy is the very love of Christ that impels us (2 Cor 5:14). “Humility can only take root in the heart through humiliations. Without them, there is no humility or holiness. If you are unable to suffer and offer up a few humiliations, you are not humble and you are not on the path to holiness. The holiness that God bestows on his Church comes through the humiliation of his Son. He is the way. Humiliation makes you resemble Jesus; it is an unavoidable aspect of the imitation of Christ. For “Christ suffered for you, leaving you an example so that you might follow in his steps” (1 Pet 2:21). In turn, he reveals the humility of the Father, who condescends to journey with his people, enduring their infidelities and complaints (cf. Ex 34:6-9; Wis 11:23-12:2; Lk 6:36). For this reason, the Apostles, after suffering humiliation, rejoiced “that they were counted worthy to suffer dishonor for [Jesus’] name” (Acts 5:41). Being a spiritual family implies the joys of family life, and the crosses too. 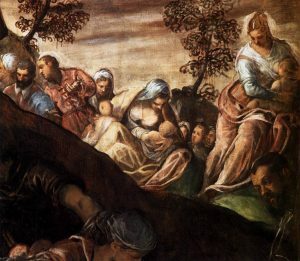 In clarifying and living our identity as 3 different religious institutes and a lay secular vocation, we can be tempted to be frustrated and annoyed by the ‘otherness’ of the different branches, by the passions of those who think differently than we do, the same way one would in a human family. As one of the delegates in the General Assembly said, “we are a family, not bound by human flesh and blood, but by the flesh and blood of Jesus Christ,” and within that unity, we need to discover the “otherness” of each individual and each branch with joy and wonder. 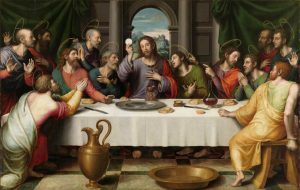 In marriage, sacramental grace reminds us that the whole of our union is greater than the sum of two inadequate people. This also applies to our Spiritual Family, the Regnum Christi Movement. Rejecting the temptation to think our individual perspective or style is more important or is always the right one, and that others are wrong, we need to listen and discern together the path of God in front of us. By making us a family, God has ensured that not one of us has the whole picture alone, or can complete our mission in the Church alone. We are meant to need each other to be able to fully respond to His call – with a whole that is greater than the sum of the parts. We talked a lot about balancing autonomy and unity at the Assembly. A family does this by its very nature, creating a unity out of the way we give ourselves to each other and giving ourselves to each other in a way that supports the unique identity of each individual. We need to remember that our enemy is not another person; he is not of this world. The accuser who seeks to shame, divide and destroy isn’t at rest. Only with our eyes fixed in Christ’s gaze are we protected from confusion, lies, pride, and fears. “The Christian life is a constant battle. 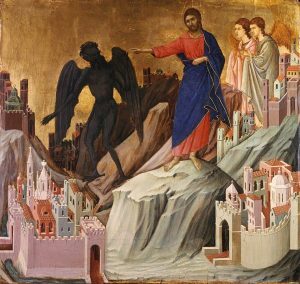 We need strength and courage to withstand the temptations of the devil and to proclaim the Gospel. This battle is sweet, for it allows us to rejoice each time the Lord triumphs in our lives.